Elenos SRL, worldwide leading supplier of equipment for FM radio broadcasting, announces that the company ITELCO Broadcast SRL (majority-owned by Elenos), has completed its operational framework for the acquisition of Electrosys operations and the brand name. 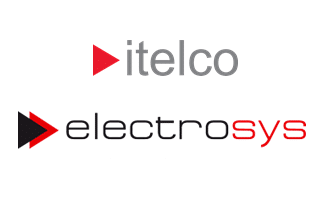 ITELCO Broadcast Srl, a company of the ELENOS group, is pleased to announce that, with the acquisition of Electrosys, all activities covered by the previous company immediately begin operation under ITELCO Broadcast Srl management. The company ITELCO Broadcast Srl will engage in activities to the worldwide market with the products and the brand name of Electrosys, with organizational structure and market strategy independent from that of Elenos. In particular it should be noted that while Elenos is and will be mainly focused on the FM and Digital radio market, with products and solutions branded “Elenos”, ITELCO Broadcast will be mainly focused on the digital TV market, Scientific, Medical and FM radio, with products and solutions branded “ITELCO Broadcast-Electrosys”. Each organization has and will have its own independent sales organization; moreover, ITELCO Broadcast will continue to manage its customers and third party partners through previous Electrosys arrangements. Both companies will attend major international trade fairs such as NAB in Las Vegas, IBC in Amsterdam, Broadcast Asia in Singapore, from where new innovative products are going to be presented publically to the market.